“Life is measured in moments,” posits eponym, creative mind and protagonist Dirk Scheuber convinced, seemingly finding a part of his peace of mind in this clear realisation. The introverted, quiet and reflective half of the monumental electro titans PROJECT PITCHFORK, he seems to find their seemingly sensual, melancholy world of sound therapeutic. With an all-encompassing, calming intensity that reaches deep below the surface, and which noticeably envelops this sound setting, the musician faces insidious demons, destructive adversaries and perennial opponents. However, instead of countering them with a stubborn, unrestrained attack, he offers instead openness, love and consideration. But above all with inner peace, thoughtfulness and mental strength. Following the initially not-intended-for-the-public debut ‘The Me I See’ and its follow-up ‘Changes’, ‘Shades’ is meanwhile the virtuoso lyricist’s third immensely impressive solo excursion. The wonderful, perfectly formed artwork invites you to tarry awhile. It motivates you to both conscious self-reflection and at the same time attentiveness, therefore embodying the start of a pleasant journey, driven by longing yet remaining cautious, into the stormy inner feelings of this once-again strengthened musician. ‘Shades’ is truly a work of magic driven by tireless, eruptive passion, fervour and devoted musing, which continuously captivates with its humility, gratefulness, moving poetry and awareness, as well as its romantic, seductive cascades of sound that are full of depth and substance. With a certain pop appeal, ‘Shades’ winds through dreamlike synthpop realms, classic EBM and visionary darkwave. These twelve intimate snapshots, which begin with the driving, rising ‘Helium’ and which suddenly become completely liberated and disassociated, ending with the elegiac goosepimple-inducing number ‘Recaptured’, are just waiting to be heard. The closing number (along with the piece ‘Coloured Rays’) features the vocals of the extremely talented young singer Lilli Engelhardt, forming the perfect emotional vocal foil to Dirk Scheuber’s moving vocals. Between this rebirth and the liberating release can be found truly powerful compositions such as the hymnal, majestic ‘Smoker’, the enchanting, bewitching ‘Spirit’ plus the literally infinite ‘Move Mountains’. 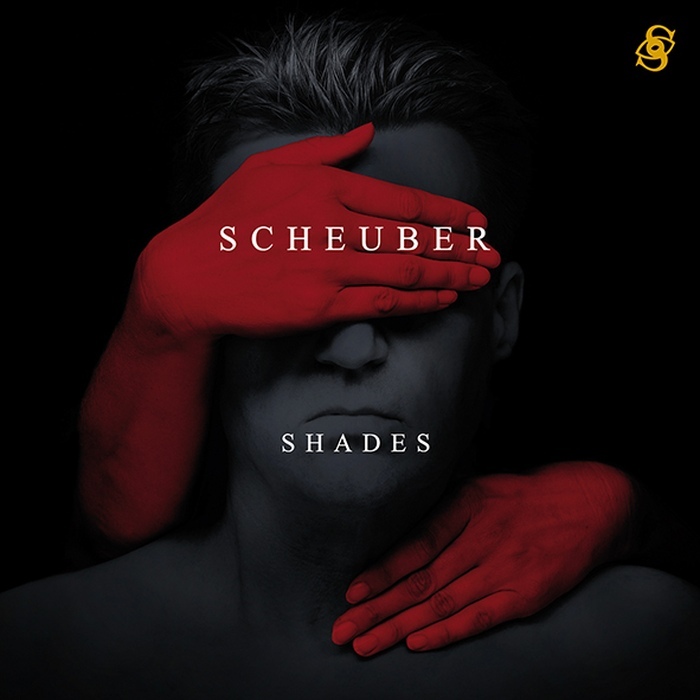 It’s an undisputed fact: ‘Shades’ is pure disengagement, absolute devotion and virtually a metamorphosis, reflecting the present and the authentic presence of a phenomenal Dirk Scheuber, who is fighting his personal darkness and who at the end succeeds in liberating his soul. Immense in every respect.